Every tongue, every tribe, every nation…sounds like Disney World. Young and old, rich and poor, women and men, gay and straight…everyone gets to play. Every year people from all over the world travel to Disney. The attendance numbers of Disney Parks dwarf that of the closest competitors. Every year almost 121 million people visit a Disney park. Amazing. I think it is because of the longing we have for a bit of magic in our lives. We long for a Kingdom which is already but not yet. A Kingdom where everything is beautiful and right; where creativity applauded, where anything is possible, where good always wins and evil is vanquished. We want to live in a place where everyone gets to play, where everyone is celebrated in spite of and because of their differences. The church could stand to be a little more like Disney World. The employees at Disney World don’t pick and choose who gets to come in and neither should we. That is not our job. We are there to give the tours and run the rides and pop the popcorn and fuss over the guests. Jesus already bought everyone’s ticket. Everyone is allowed in if they want to come. Everyone is treated like a Prince or a Princess. Everyone gets to play. Don’t get me wrong, it is a very imperfect analogy. Disney World for me is like a little sliver of light that shines through the gap under the door into a dark room. It is, in spite of its imperfections like the city on a hill that draws people to it because of the light that it gives off. We should be that way. Jesus was that way. Imperfect people wanted to be around Jesus. Jesus allowed everyone to come near. 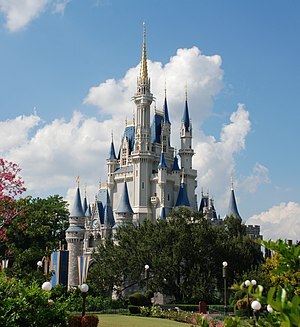 Because he paid the entrance fee, everyone gets to come into the true Magic Kingdom; God‘s Magic Kingdom. Young and old, rich and poor, woman and men, gay and straight…everyone gets to play. Every tongue, every tribe, every nation…it does sound like a Magic Kingdom.